This term Green class have been learning about the history of Grace Darling. 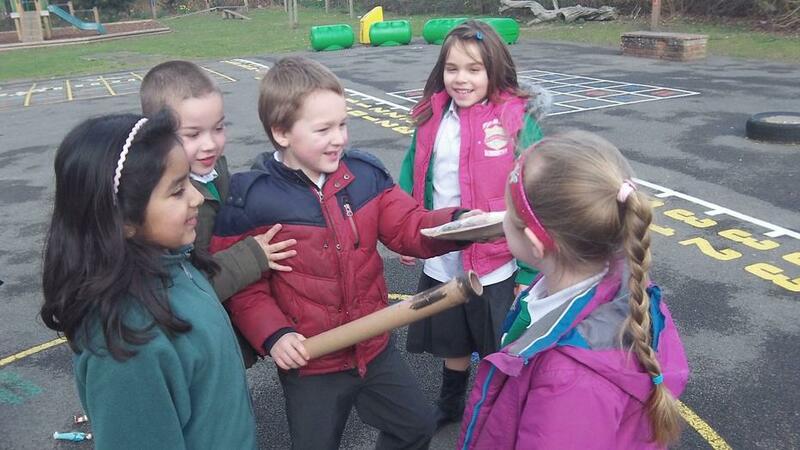 We worked in groups to act out the story of Grace and her father William Darling. This group knew there were nine survivors on the Forfarshire. 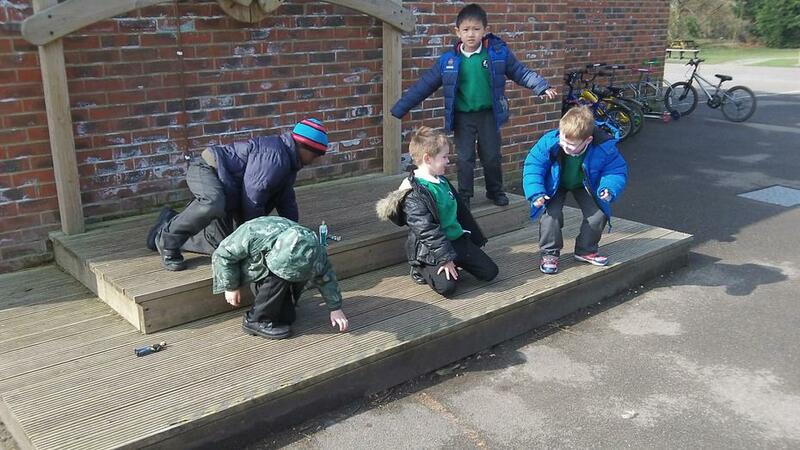 They decided that they needed to add some dolls house figures to their group so there was nine of them. Can you spot the extra figures on the stage as the ships engine fails and crashes? Here is Grace (Leah) holding the life boat still while her father (Shay) rescues the survivors of the ship Forfarshire. 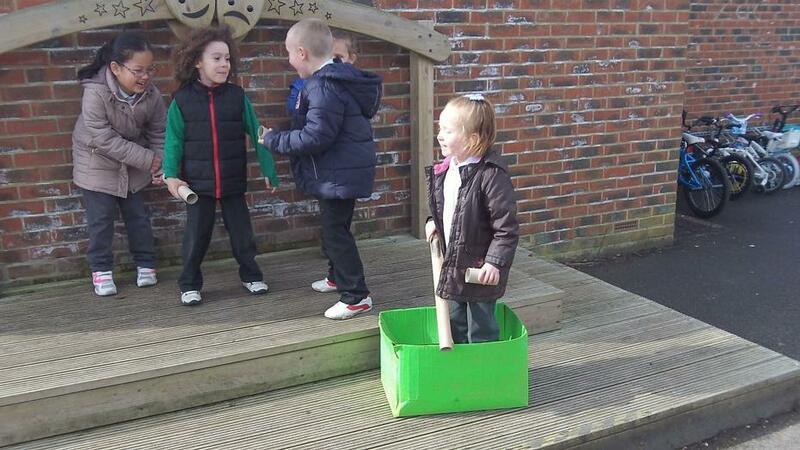 This group decided to get a box to use as their rowing boat. They also used toilet rolls for paddles and a telescope! This group decided their lighthouse would be the large circle on the play ground. This is Grace (Bebo) and William (Jack) giving the survivors food and keeping them safe until the storm passed. We them wrote up newspaper articles to explain the story of the brave Grace darling. Green class talked about the differences in the sea while it was calm and while it was in the storm. We picked instruments that we thought would sound like a stormy sea. 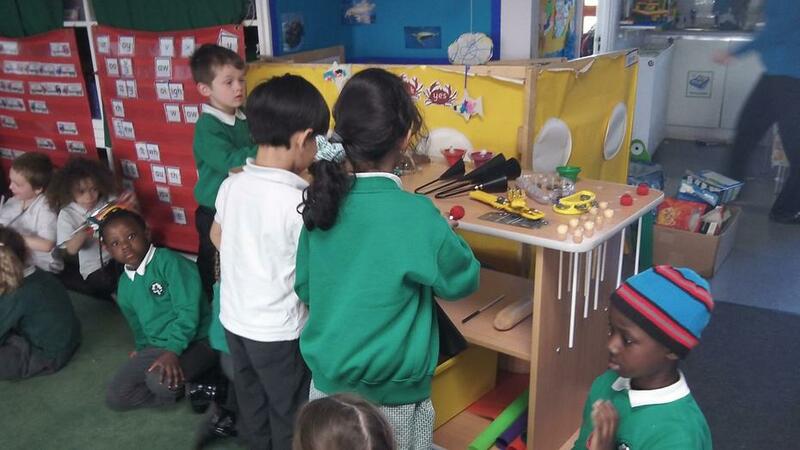 Here is us picking the instruments for our music lesson. If you would like to see the music video we created ask Miss Weller. We hope you enjoyed looking through some of our learning this term.